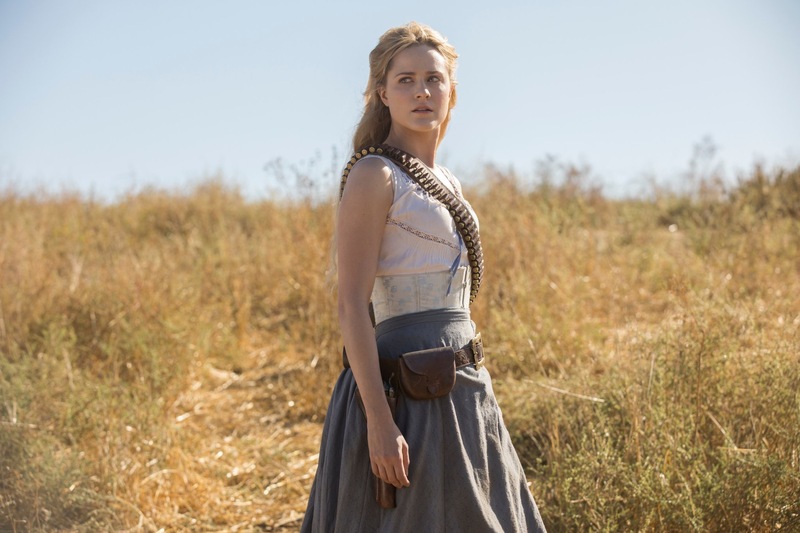 Westworld Releases New Photos from Season 2! There is just over a month to go until the Westworld premiere, and marketing efforts are in full swing. 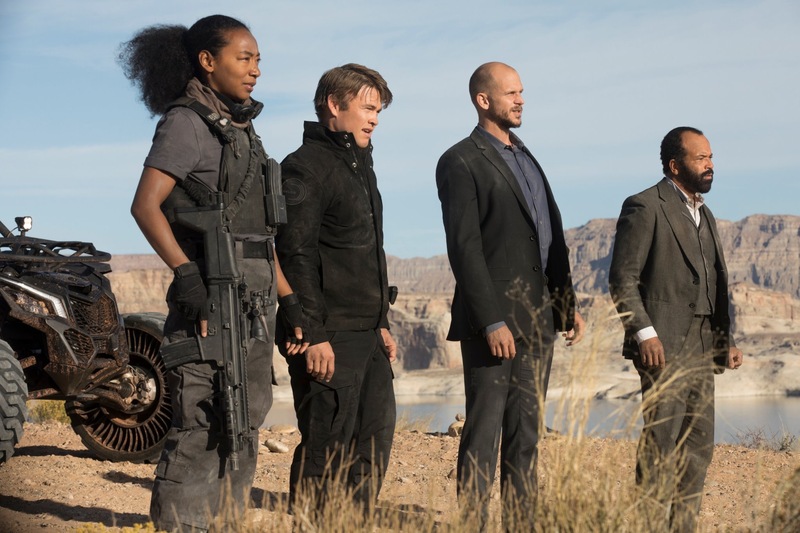 Today we received a real treat in the form of 11 gorgeous new pictures from the upcoming season, posted by official Westworld Twitter account. Let’s jump below the cut and see if they reveal any clues about season two! 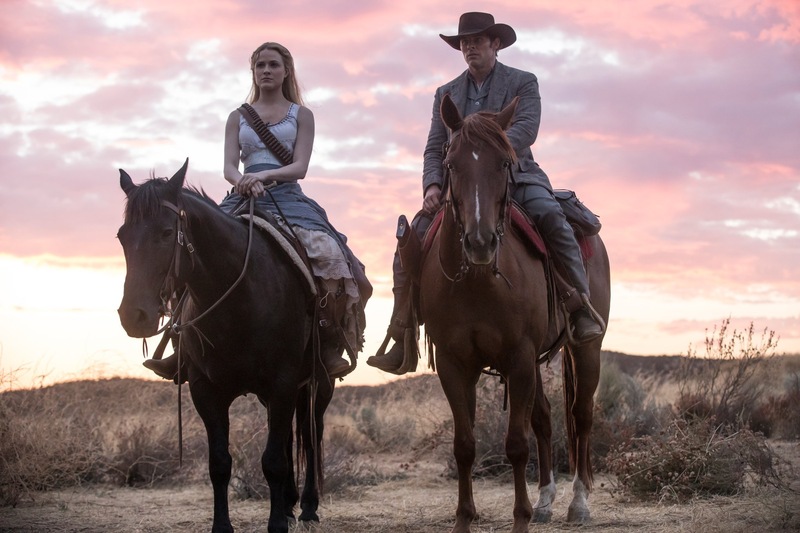 The first photo – posted at the top of the page – is a beautiful shot of Dolores Abernathy (Evan Rachel Wood) and Teddy Flood (James Marsden). Dolores appears to have a look of grim determination, while Teddy seems like he’s not quite sure what’s going on (which isn’t uncommon for him, unfortunately). Perhaps this is after they ride down and shoot the Delos party escapees? Bernard Lowe (Jeffrey Wright) is the star of the second shot. 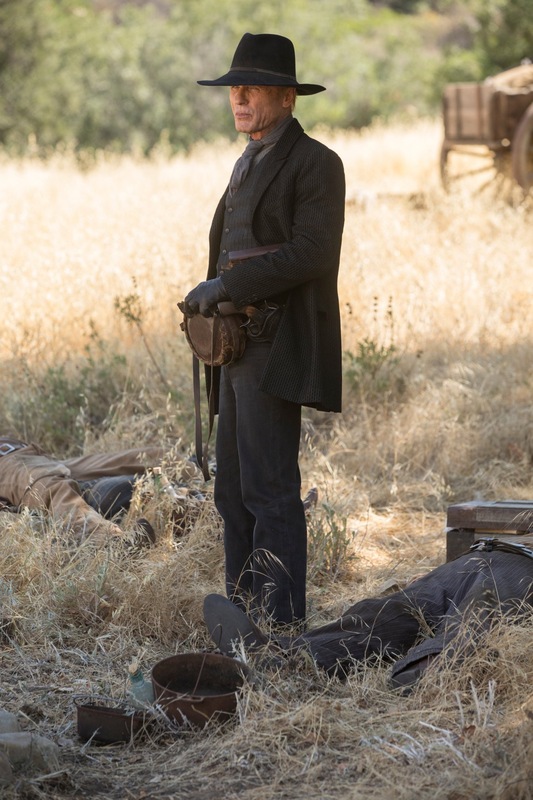 He’s with what appears to be Delos security and looks quite concerned – perhaps seeing the carnage Dolores created. 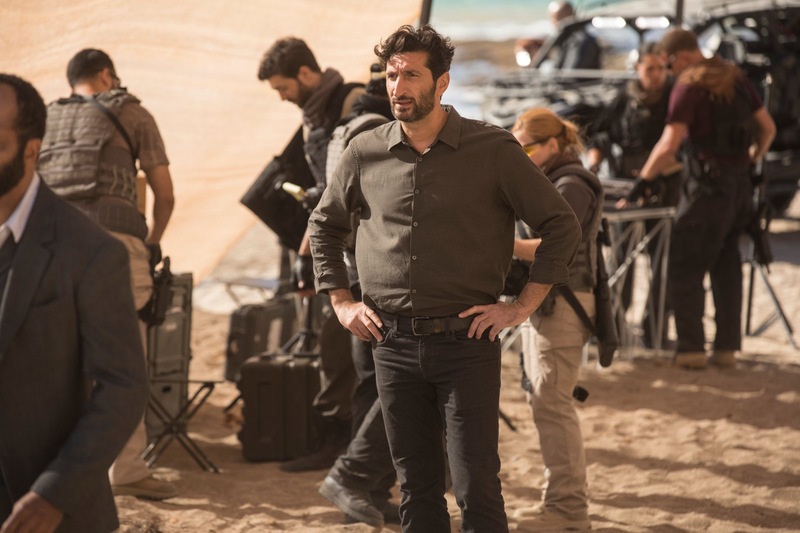 Next we have a newcomer to Westworld – Fares Fares as Antoine Costa. He is described as “a tech expert with an objective perspective,” so he may have been brought in to figure out what’s gone wrong with the hosts. Here is another lovely picture of Dolores looking a bit apprehensive as she stares into the distance. She could be seeing the security teams roaming the park. It’s good to see our favorite outlaw, Hector Escaton (Rodrigo Santoro), although presumably not for whomever he’s holding at gunpoint. Is he still under Maeve’s orders, following his loop, or has he broken free? Charlotte Hale (Tessa Thompson) appears to have made it out of the park and back into the Delos facility. She definitely doesn’t look too happy – understandably so. I wonder what she said to Bernard to make him look so perplexed and…maybe slightly horrified? Whatever it was, it can’t be good for the hosts. 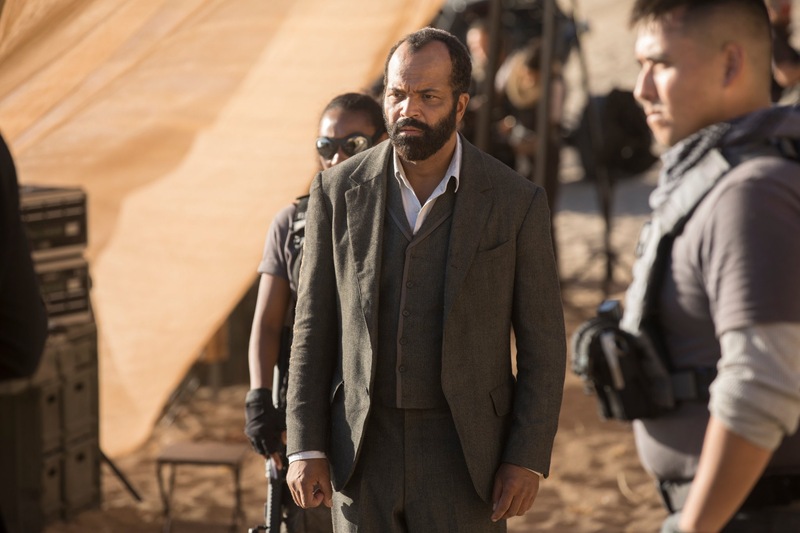 Given the dress and a tip from a reader, it seems Charlotte is the woman with Bernard and the drone host from the last Westworld ad. Perhaps she will unleash the drones on the rebelling hosts? 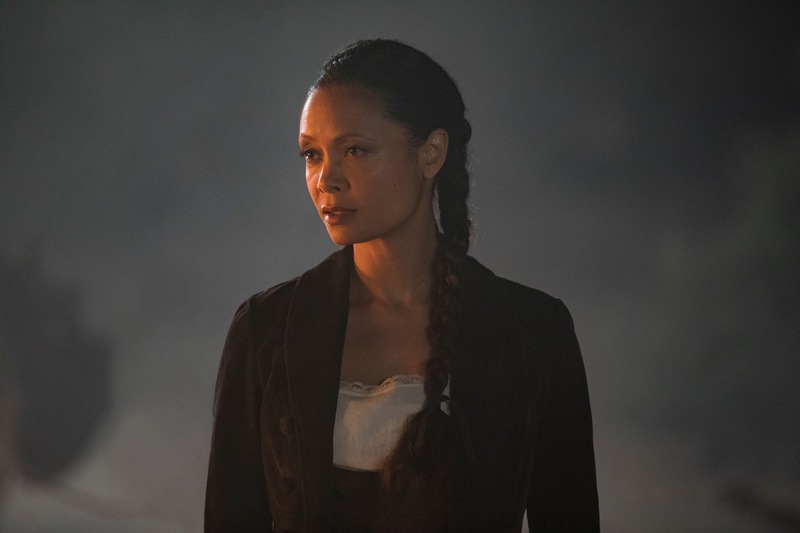 Here we have Maeve Millay (Thandie Newton) looking at someone, possibly Hector from the above shot. They are both night shots, lit by firelight, and the background is similar. She may be trying to convince him to join her in whatever she has planned for her next move. William/Man in Black (Ed Harris) is surrounded by corpses in our next scene. It looks like he has ventured out into to the park, maybe to enjoy the “real” game in which he finds himself. 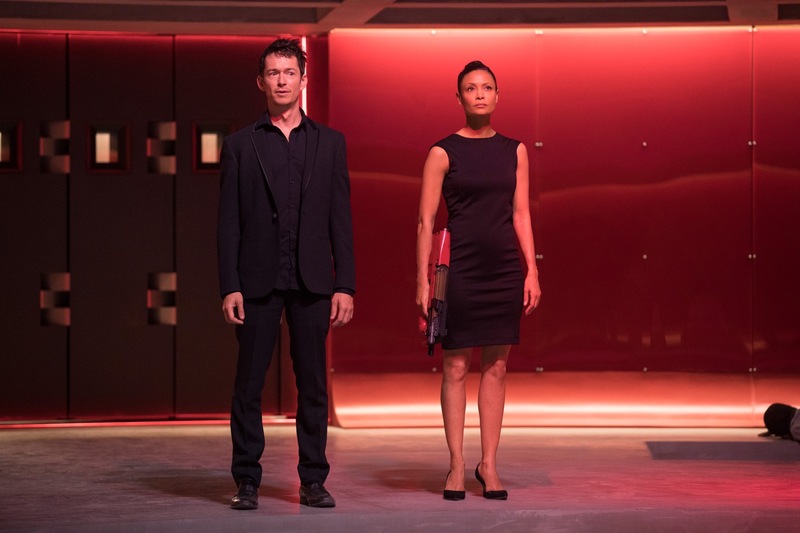 Maeve holds a shocked Lee Sizemore (Simon Quarterman) captive as they enter the Delos security room. She is in the dress she wore in the season finale, so perhaps she brought him here to help her find her daughter? Our final shot is of Angela (Tallulah Riley) who may be at the party Logan (Ben Barnes) is attending in the second trailer. She’s certainly dressed for it. What do you think of these new photos? Did you spot something we didn’t? Sound off in the comments! Pre-registration Now Open for Westworld Mobile Game! The background where you see Logan and the blonde woman looks like NEW YORK….don’t you see how high up they are??? Go back to the original photo. Yes they are definitely on the “mainland.” NYC is a good possibility, especially with the photo of Juliet in Times Square. Didn’t know Rodrigo Santoro was returning. Great news!